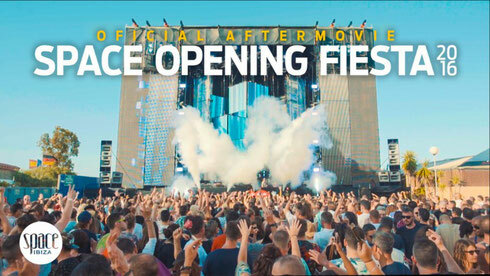 Space Ibiza recently released an emotional video that documents the final Opening Fiesta at the legendary Ibizan venue. Recorded in Spanish and subtitled in English, the six and a half minute video of the opening party on Sunday 5 June 2016 shows the full spectrum of emotions generated from all involved in the club. Including clubbers, performers and headlining DJs this video captures it all. Clubbers from around the world play their parts in a venue that is brought to life every opening and closing party, and the nights in-between. It’s a unique experience of a time that traditionally marks the official beginning of the summer season in Ibiza. The video features emotional comments from DJs including Roger Sanchez, Wally Lopez and Eric Morillo, all speaking in their mother tongue, and from Dennis Ferrer who says that Space is the place that all DJs want to play. Also included is owner and founder, Pepe Rosello, celebrating the final year of the venue. Look out for more special dates at Space with the 27th anniversary on 24 July and the last ever Closing Party on 2 October 2016.